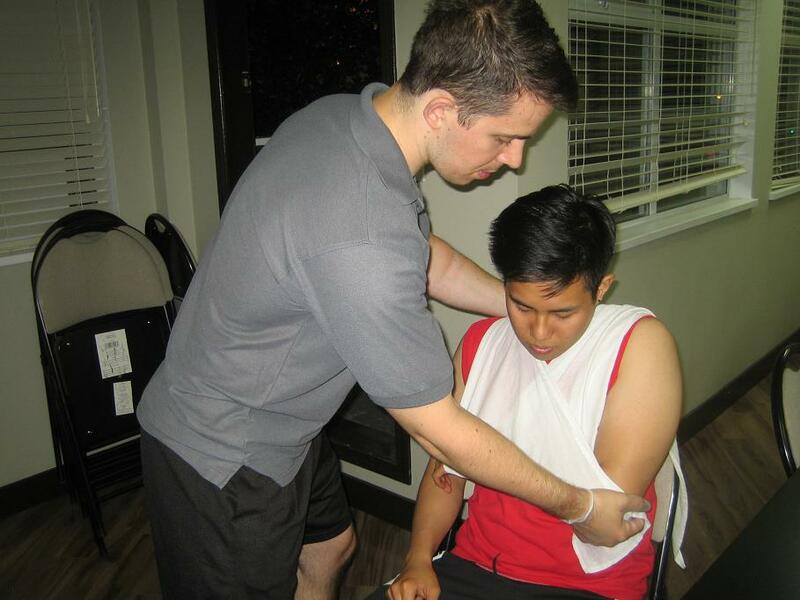 First Aid and CPR Re-Certification Courses in Victoria, B.C. Many employment types are required to have current first aid and / or CPR certificates. Doctors, nurses, life-guards, construction workers, oil workers, gas workers, miners, industrial workers, office workers, health care professionals, security guards, massage therapists, physiotherapists, fitness workers and many more are required to maintain current first aid and / or CPR certifications. After taking the original course participants may be able to attend a re-certification course which is cheaper and shorter than the original course. Renewal programs are available for courses such as standard first aid, CPR level “C” and “HCP”. Some awards, such as occupational first aid level 1, require participants to re-take the original course in order to maintain certification. The most popular provider of re-certification programs on Vancouver Island is Victoria First Aid. Its popularity is due to its low prices, great teachers and outstanding training facilities. You can click here for a complete list of available re-certification training programs. For more contact information or details use the information posted below. Phone operators are available 7 days a week from 7 am to 6 pm. On-line course registration is available at all hours of the day. Why You Should Register with Victoria First Aid? No pressure policy that allows students to re-take a course at no extra charge if they don’t manage to complete it the first time. Registration for courses is available by email, telephone, on-line chat, via the website or in-person. What Will I Learn in a Standard First Aid Re-Certification Class? Management of Circulatory emergencies, breathing emergencies, sudden medical emergencies, skeletal emergencies, environmental emergencies and joint and muscle injuries. Participants will learn with hands-on training in this comprehensive 8 hour re-certification course.